Sierra Wines is a member of the California Wine Magazine network, a celebration of the wonderful diversity of the Golden State. That incredible diversity allows California to not only be one of the premier wine regions in the world, but unbelievably beautiful with varied landscape and unlimited opportunity for adventure. Combine these all together and you have the perfect wine tourist destination that works for any enthusiasts. All of the California Wine Magazine team members are lifetime residents of one of the state’s wine regions. This gives us in-site into this incredible state; its history, attractions, geology and geography that make it so special. California Wine Magazine is proud to announce the launch of California Wine Publishing which is focused on producing wine adventure guides to some of the most exciting new and old regions of California. Each guide includes information on what makes the region unique, local travel and event tips, a full page writeup for each winery along with a space for tasting notes, and maps to the wineries. In addition to this we have begun publishing a series of short novels about a California winemaker and the adventures that follow the discovery of his great-grandfather's hidden wine cellar. Follow the image link at right to our Wine Country Bookstore for more information. 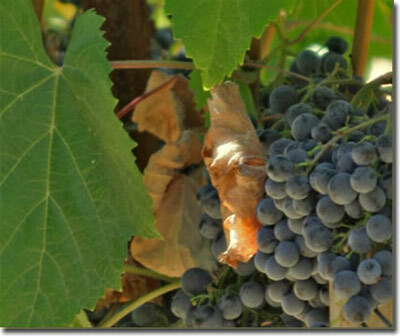 Delta Wines: a guide to the great wine regions of Lodi and Clarksburg. Los Carneros Wines: a guide to Lower Napa and Sonoma Valleys.